FAIRBANKS — An environmental mystery lies in the remote Aleutian chain, the archipelago that stretches from mainland Alaska to Asia: Why do endangered Steller sea lions, birds and marine and freshwater fish in America’s westernmost islands have bodies with elevated levels of mercury, a toxic metal usually associated with industry? That question is being explored by scientists at the University of Alaska Fairbanks who are doing regular monitoring of mercury and chemical contaminants in body tissue, blood and hair of animals and fish from the Aleutians and elsewhere. And it came up at a health meeting in Fairbanks in conjunction with a major session of the eight-nation Arctic Council earlier this month. Among the possible sources for the Aleutian animals’ mercury, said UAF wildlife ecology professor Lorrie Rea, are the many active volcanoes in the region. Eruptions are known to blast mercury into the atmosphere. Coal burning in Eurasia is another possible source. Or there could be something happening in ocean systems that has yet to be understood. Even animal behavior might factor into the mercury load, said Rea, who is examining Steller sea lions’ hair, bodies and food sources. 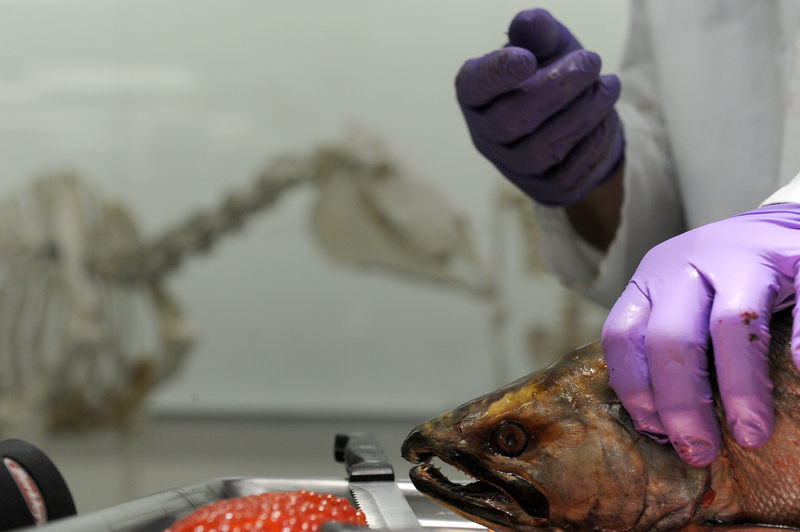 The things that are showing up in animals’ bodies tell important stories, said Todd O’Hara, a UAF professor of veterinary toxicology and pharmacology. “Animals are sentinels. 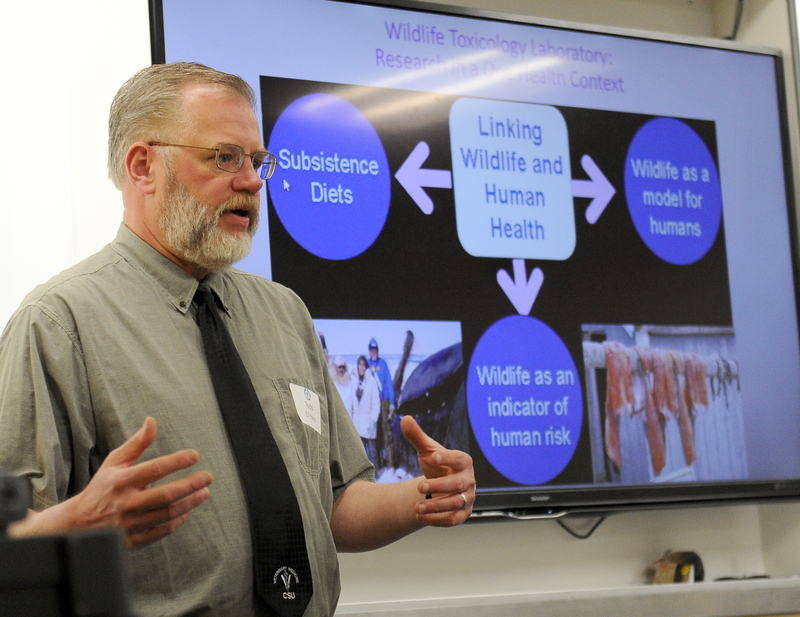 Maybe we can learn more from them than we can learn from humans about things that are going on in the environment,” said O’Hara, who manages a UAF veterinary laboratory that is used for a program linked to the veterinary school at Colorado State University in Fort Collins. Contaminants can be carried in the air and oceans over vast distances from southern population and industrial centers to the far north. There they collect in the environment, in animals and, sometimes, in people’s bodies. Concerns about contaminants helped inspire the creation of the Arctic Council in 1996, and were the focus of much of the eight-nation organization’s early work. The council’s work, in turn, helped in creation of the Stockholm Convention, a 2001 treaty that bans or imposes phaseouts for an ever-growing list of harmful contaminants known as persistent organic pollutants. The Arctic Council’s past work also contributed to the 2013 Minamata Convention on Mercury, which calls for a global phaseout of mercury mining and emissions. 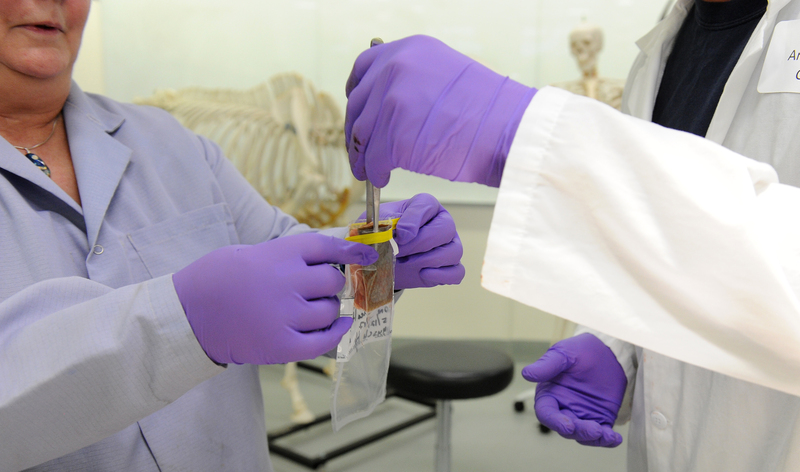 The Arctic Council and its partners, like UAF, continue to monitor and study contaminants. Under the just-completed U.S. chairmanship, the Arctic Council pursued a “One Health” strategy that combined monitoring of contaminants with broader environmental projects, climate-change studies and plans for adaptation to it, plans for improvements to local water and wastewater-treatment systems and recommendations for improvements to health care delivery, including mental health and suicide-prevention services. Contaminants and pollution from afar continue to concern people in the Arctic who have an outsized dependence on wild fish, game and plants. “We’re having to deal with the effects of Russia. I almost see it from my village,” Mike Williams Sr., a tribal leader from the Southwest Alaska village of Akiak, said at a heath meeting held last week in conjunction with the Arctic Council ministerial meeting in Fairbanks. His comment about seeing Russia appeared to be a light jab at Sarah Palin, who famously tried to boost her own foreign policy chops by saying that Russia was visible from Alaska. Traditional wild foods remain more healthful than imported Western foods, especially highly processed foods that are often brought into villages, health officials and scientists say. And there is good news about contaminants in the Arctic, as reported at the ministerial meeting and associated science sessions: Legacy pollutants like PCBs and remnants of pesticides no longer in use in the south are on the decline in the Arctic, thanks to measures taken under the Stockholm Convention and actions taken over time by individual nations, according to a report issued by the Arctic Council. Those declines show up in tests of Arctic people’s blood and breast milk, according to studies done for the council’s Arctic Monitoring and Assessment Program working group, or AMAP. There are generally declining levels of persistent organic pollutants around the Arctic, but there are certain exceptions and hot spots, notably Greenland, says one recent study, published in the International Journal of Circumpolar Health. The bad news about contaminants and pollutants, as studied by the Arctic Council and its partner organizations, is that a new set of chemicals has emerged in far-north waters, air and animals. There are questions about how Arctic temperature and daylight conditions might be affecting these new contaminants, according to a new report by the council’s AMAP working group. These chemicals include flame retardants and plastic additives known as phthalates, according to the report. Also increasingly appearing is plastic pollution, often in tiny pieces called microplastics. The plastics pose twin dangers — they are composed of materials that can be hazardous, and they absorb contaminants that are in the water and help them spread into the food chain and ecosystem. “In addition to being a nuisance, it’s a way that chemicals are transported,” said Martin Forsius, chairman of the AMAP working group. Unlike the case with pollutants that are emitted from faraway sources and transported over long distances, some of the new chemical pollutants are being put into the Arctic environment locally. Subpar wastewater-treatment systems, a common problem in the Arctic, are failing to filter out these contaminants, the report said.